Looking for a Used Jeep Grand Cherokee for sale near Chesterton, IN? This capable SUV offers plenty of off-road features, and at Connors CJDR, you’ll enjoy competitive prices and a generous selection. You can customize your Grand Cherokee with the latest Jeep performance parts to truly make it your own. Not sure if the Cherokee is the right Jeep for you? We’ve compared the Grand Cherokee and the Ford Explorer to make it easier for you to find the SUV that’s a perfect fit for your needs. 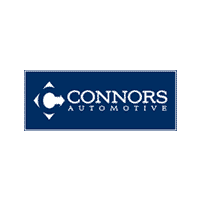 Why Buy a Used Grand Cherokee from Connors CJDR? We offer a wide variety of Jeep SUVs, as well as cars, trucks, and crossovers from Dodge, Chrysler, and Ram. And if we don’t carry your ideal color or configuration, we’ll have one delivered to our lot quickly. Stop by our showroom today to check out all of our available vehicles for yourself. Want to hit the road in a used Grand Cherokee? Schedule a test drive today!